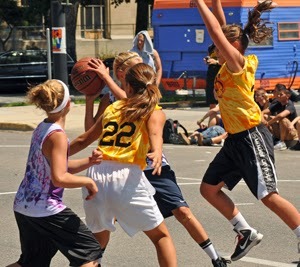 Each summer, Fast Eddy's BAM Jam hosts hundreds of youth basketball 3 on 3 teams in the 3rd-8th grades for boys and girls. Teams continue to come back each year to compete against old and new competitors and try to win the coveted Champions T-shirts. Teams are divided into brackets based on the team member's highest grade level. The youth basketball teams will only compete against other teams that are the same grade or within one grade level of each other. For example, a 5th grade team won't compete against a 7th grade team. 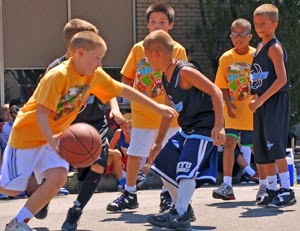 Last summer we featured 9 youth basketball brackets, providing competitive play in a fun environment. Click here to see last summer's brackets. The high school divisions (9th-12th grades) have also been very popular. Last year, teams from all over the northwest, including Alaska, competed in five different brackets with nearly 60 teams. But you need to register ASAP. The late registration period closes this week and after that teams will not be able to register. Register your team by clicking here.